Well, wasn’t I stunned when I received a sweet note from Jess at Little Girl Story. 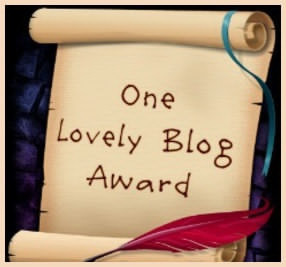 She very kindly nominated me for The Lovely Blog Award. What a Sweetie she is and I thank her so much for the honor. Nominate 7 or so bloggers you admire. Gramps and I will be married 45 years the end of this month. That number seems so enormous to me and yet . . .. It is such an odd feeling being with one person for a huge portion of my life and still putting forth effort every day to be a good wife, companion, home provider, confidant and advisor. I eat American cheese with my apple pie, just like my Daddy did. I love amusement parks! However, Gramps and I are not compatible riders. He likes up and down, i.e. roller coasters and I like around and around, i.e. Tilt-a-Whirls. I was secretly addicted to “The Real Housewives of NYC” and watched every episode. I don’t know why, but I was fascinated. I once had a white rabbit named Hutch and a black cat named Starsky. The vet thought it was pretty funny! My favorite color is blue. I live in a predominately blue and white world, to which my family will attest. If only dirt came in blue . . . my life would be so much easier. I started my blog two years ago to share all my feelings about being the matriarch, the oldest female of my family. I wanted to inspire, validate and uplift other women in my same situation in life. I also hoped to speak to younger mothers with a message of hope, that aging is to be embraced and not feared. I adore being a grandmother. I feel that everything I have done and learned in my life has prepared me for this unique job of grannyhood. And it is a job! I’m sure many people think that when they reach a certain age (you know when you get there! ), they should just sit back in the rocking chair, wait for room service and watch the world pass by. I believe just the opposite. Well-seasoned people should be living, vibrant examples of all they have learned and experienced. They are the teachers and leaders of the family. They are the advisors, the historians, the confidants. 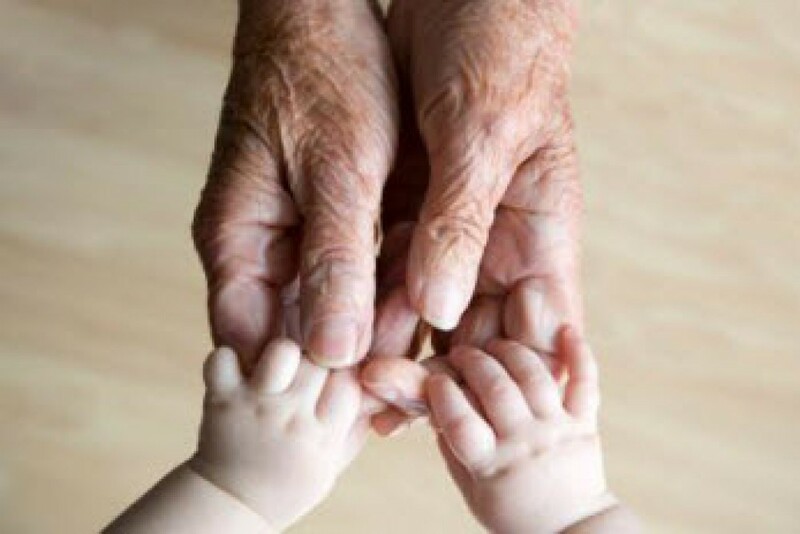 Who else can connect all the generations, tell the stories and teach the lessons of life? No one else has the wisdom and experience except the elders. Becoming an elder and grandmother has been very fulfilling. I can see my family circle becoming stronger because of each person. From the youngest (age 4 years), to the oldest, me. I don’t really think of myself as a writer . . . more of a storyteller. Hope you enjoy the stories I have to tell, the pictures I try to paint with words, and the feelings I hope to convey. Feel free to share your comments and responses. I would love to hear from all of you. Check out these blogs. I love them and I think you will too. This entry was posted in In the Village and tagged family, Gramps, Granny, gratitude, life, lovely award by The Village Granny. Bookmark the permalink. Hi Village Granny, you are so sweet. The 7 things I dont know about you makes me SMILE 🙂 especially No. 3 & 4. Make sure you don’t miss any episodes of “The Real Housewives of NYC” . Thank you Sweetie. You make me smile too. I am so happy for you, congratulations. I think that is one big thing we have in common, we both consider ourselves storytellers. I too think that as people live life they become more seasoned. And Granny, oh my, how sweet and wonderfully you are seasoned. Good and healing thoughts to you. Thank you Sweetie! I feel well-seasoned. In fact, I feel down right done on some days! But I’m loving the journey. I do love having things in common with you.